Do you want to lend your property and are looking for tenants? 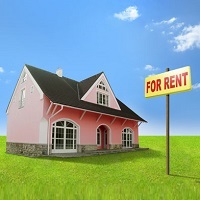 If you have a Rental Property in Punjab, we can assist you by finding potential tenants for your property. We have a well-knitted network with various real estate agents. We also keep our database updated with the list of tenants looking for properties on rent in various locations of Punjab. We are based in Mohali and also conduct background verifications before suggesting the tenants to clients. We also discuss the rents on behalf of clients. We charge a very nominal fee and also respond to the urgent requests of clients. Avail our services!